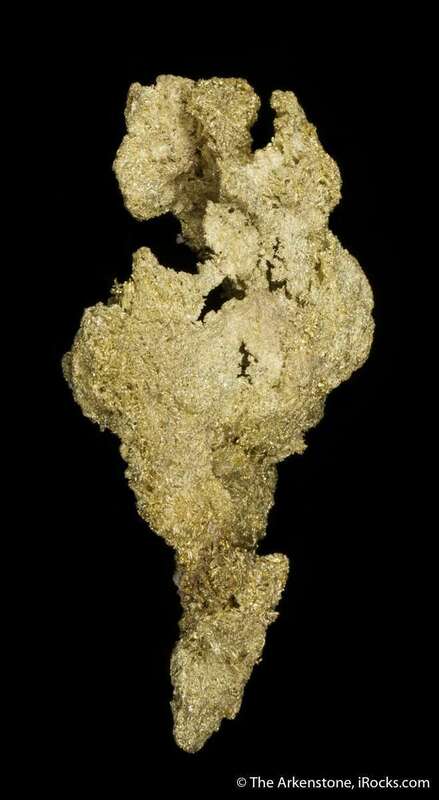 Weighing 93 grams (approx. 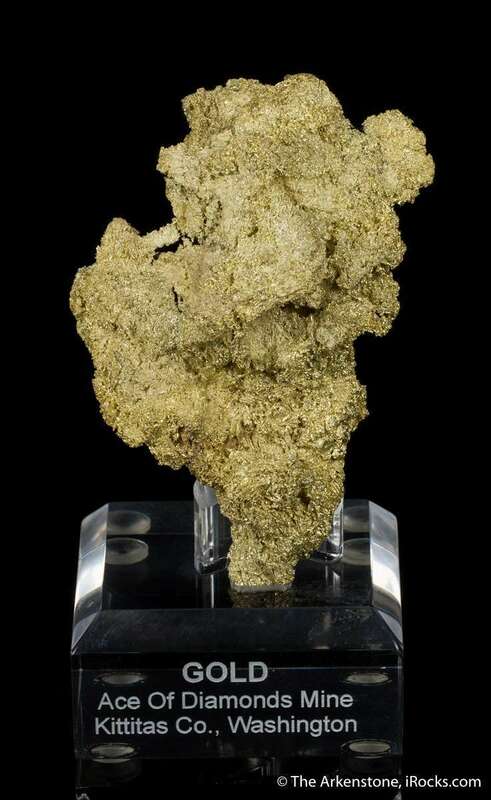 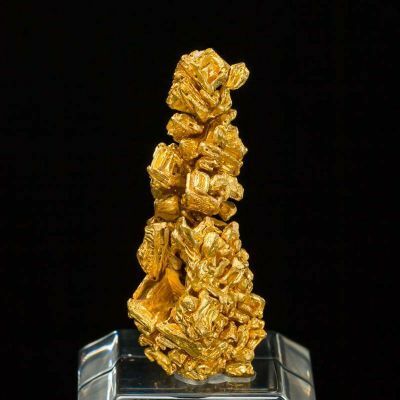 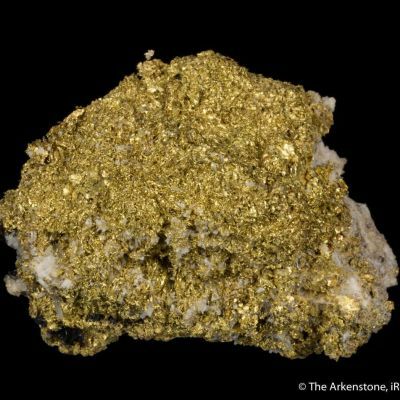 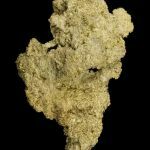 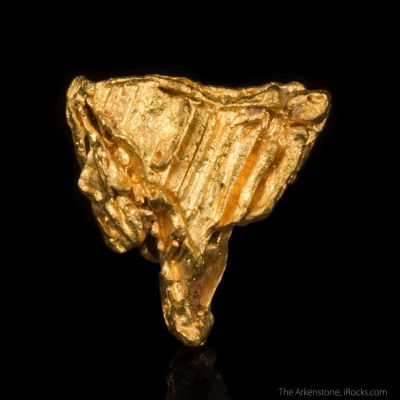 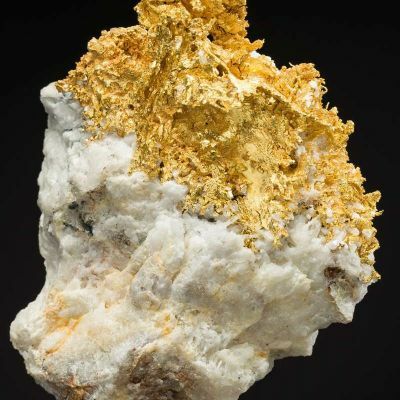 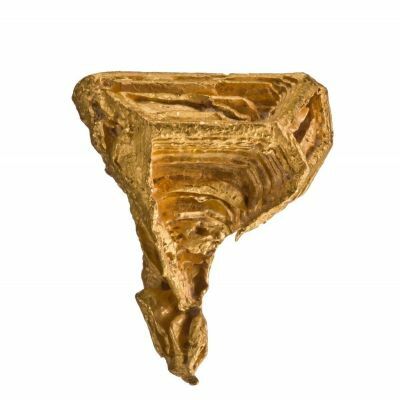 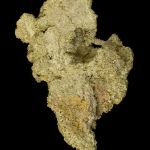 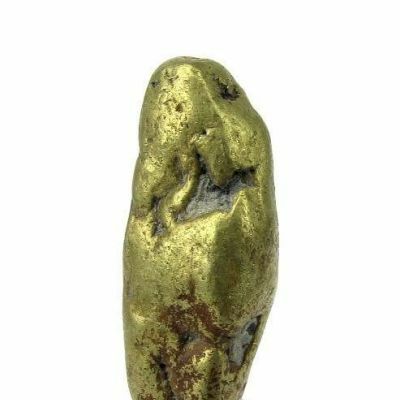 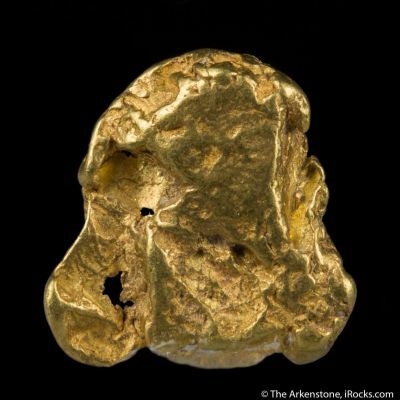 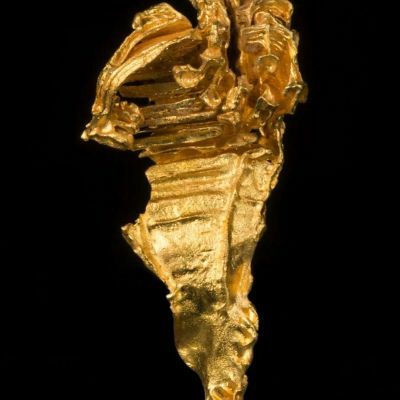 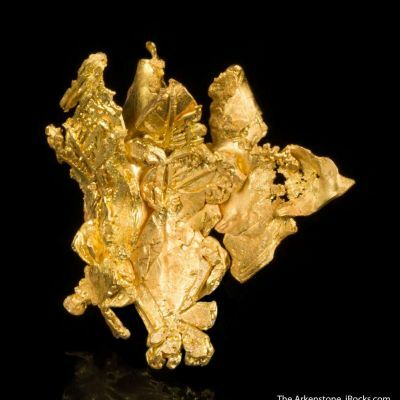 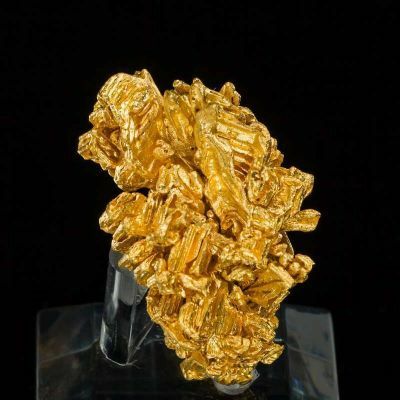 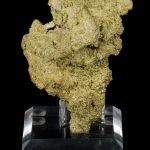 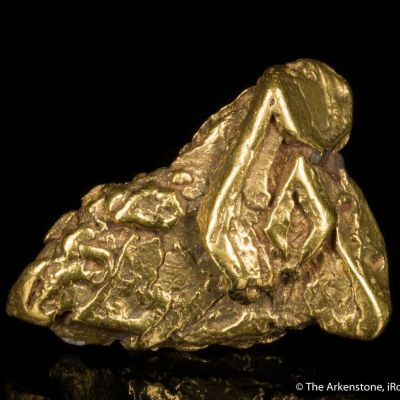 3 ounces), this gold specimen is a significant locality piece for Washington! 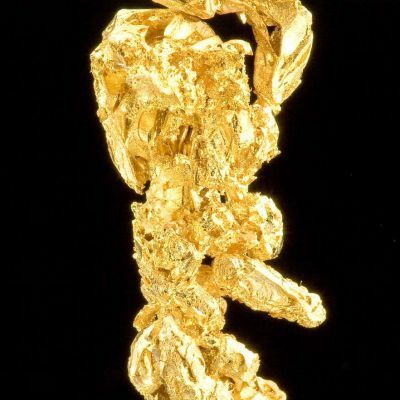 These came out once, in the early 1960s, and were mostly of similar styles. 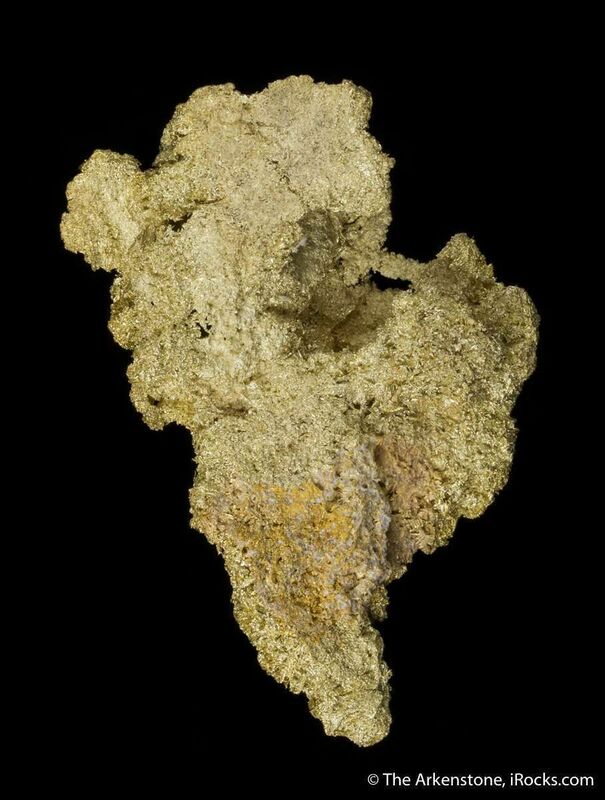 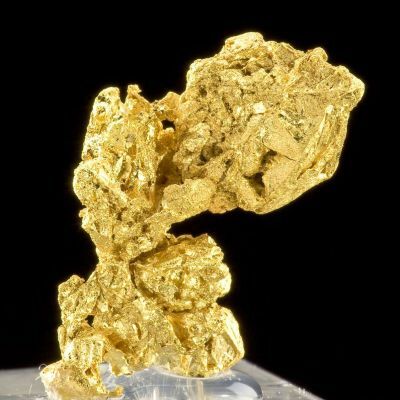 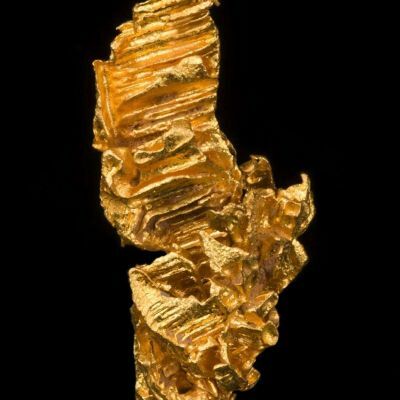 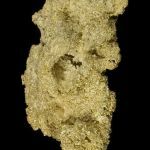 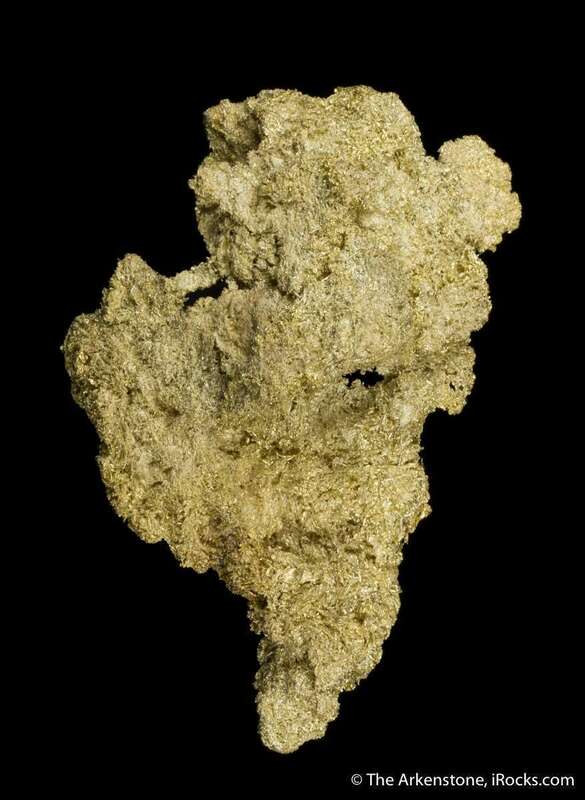 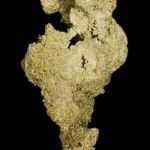 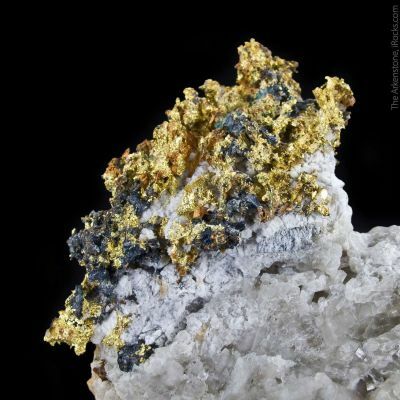 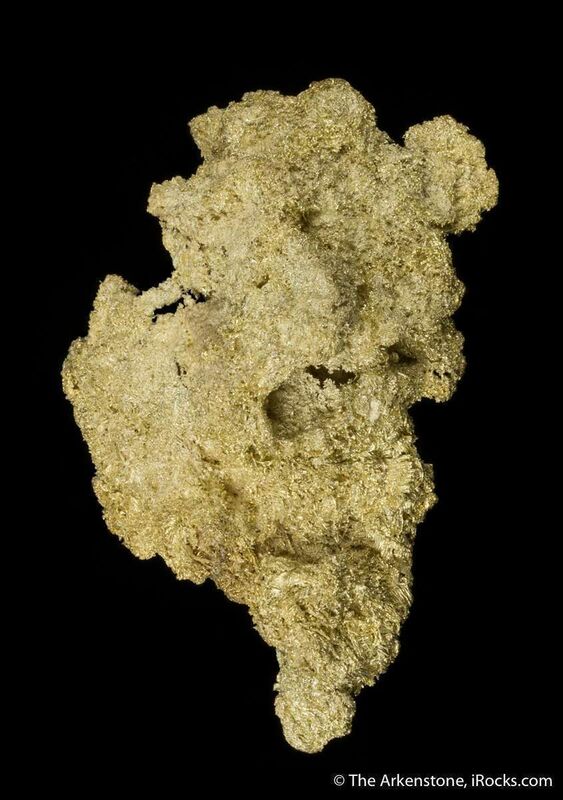 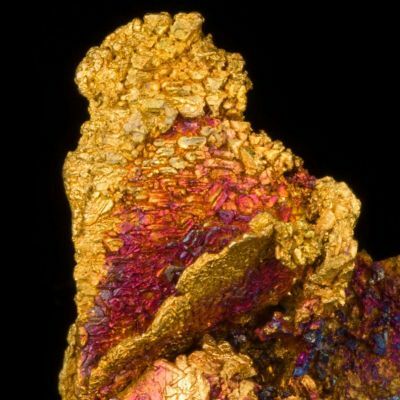 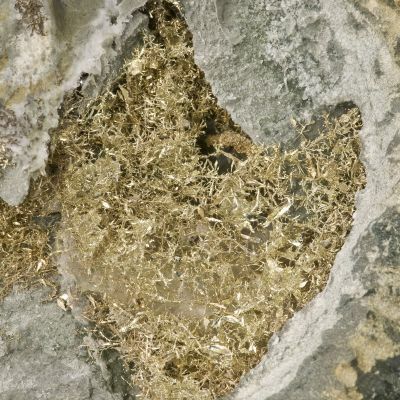 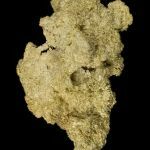 This is a thick, mat of gold consisting of a freeform mass of meshed and intergrown tiny wires, and has a slightly lighter golden color than most California gold (indicating perhaps a small electrum content). 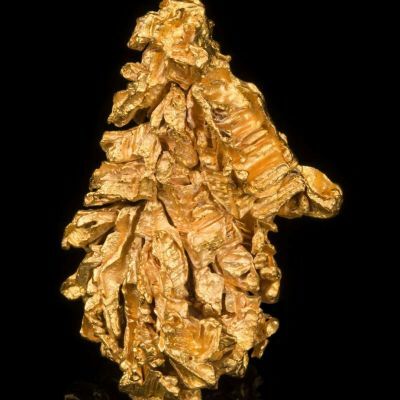 Fine gold specimens from this locality are far scarcer than those from California or any other USA locality for good golds in this size, and come up seldom. 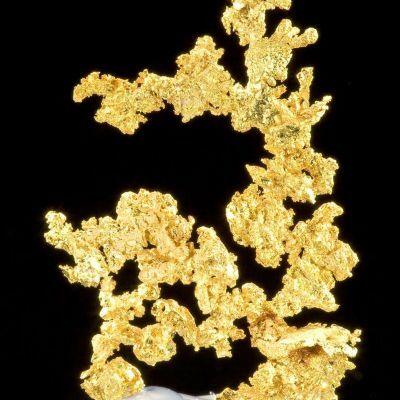 These were mined by Ernest Butler in the 1960s (as reported in the Barlow Collection book and in Lapidary Journal in 1971). 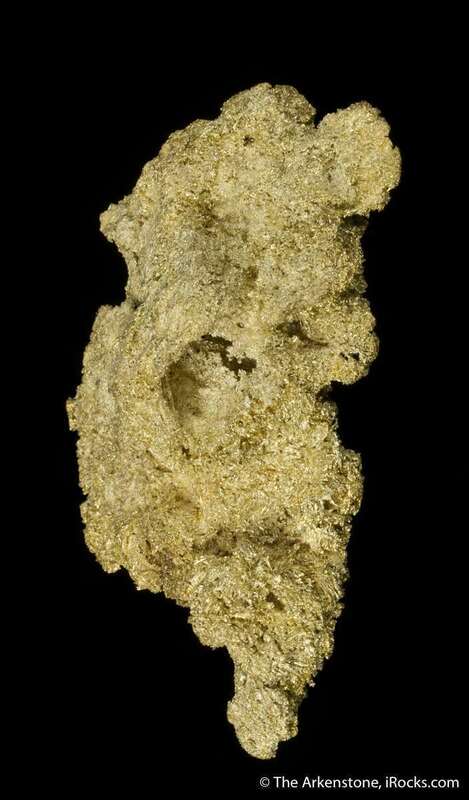 This particular specimen was long in the Herb Obodda collection. 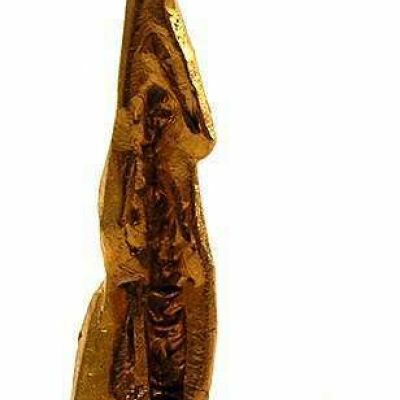 It comes on a custom lucite base.